You need very few tools for spoon carving which are very cheap and great quality, all of mine have come from Woodlore and include a Mora Carving Knife, S Djarv Hantverk large Spoon Knife, Folding saw and a Mora Heavy Duty. You can carve basic spoons with just a normal pocket knife, however a good quality spoon knife and carving knife go a long way to improving quality and detail! This entry was posted in Bushcraft Tips & Guides, Customer Posts and tagged Carving, carving knife, lime wood, saw, spoon knife, wooden spoon on September 22, 2016 by Woodlore Limited. 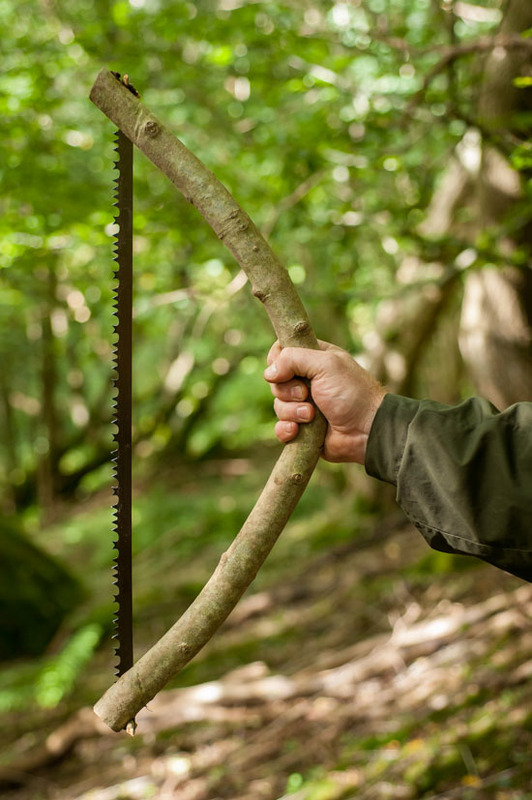 A folding saw is an essential item of equipment when travelling in woodland areas, but sometimes something a little larger can ease the workload and open up possibilities. Carrying a buck saw or pack saw is one way to address this, but if you want to travel a little lighter it is possible to carry just the blade and improvise a frame from the woodland; one of the many skills taught on the Woodlore Camp Craft course. The bending of the wood is usually facilitated by heating, but this is not always necessary as you will see. For this guide, we used a 24″ Bahco Bowsaw Blade. This entry was posted in Bushcraft Clothing & Equipment, Bushcraft Tips & Guides and tagged Bahco, bowsaw, buck saw, guide, how to, instructions, tips on October 2, 2015 by Woodlore Limited. In this edition of our outdoor cooking guides we focus on the method of steaming your food between two layers of moss. 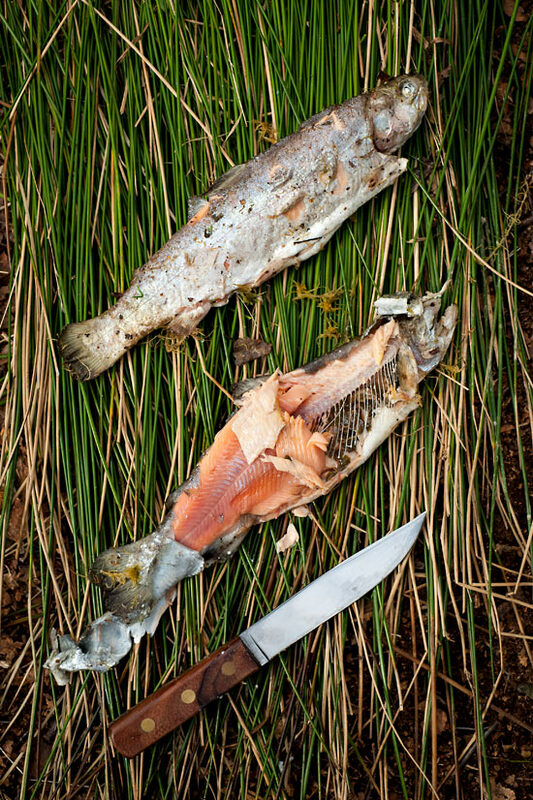 While not often seen, this technique happens to be one of the simplest ways of cooking in the outdoors, particularly with fish. It requires very little in the way of utensils or equipment (which also means minimal washing up), and is very hygienic. To us though, the greatest benefit of using this method is the way that it leaves you feeling truly immersed in the outdoors. The act of reeling in a fresh catch and cooking it just minutes later over the campfire, using little more than the materials nature provides us with, gives a profound feeling of self reliance and respect for nature that is hard to match. This particular dish requires just two ingredients – trout and wood sorrel, the latter being a very pleasant stuffing when working with fish. In order to cook this meal, you must first prepare a hot fire with a good bed of embers, preferably of oak. This entry was posted in Bushcraft Tips & Guides and tagged campfire, camping, cooking, fish, guide, outdoors, recipes, tips on July 29, 2015 by Woodlore Limited. At this time of year the hedges are blooming with elder, and the flowers are now at their prime. It is a wonderful sight, and for generations countryfolk have used the plant to make cordials, champagne and wine, amongst many other uses, and for many it is seen as the true taste of the season. In this article we demonstrate how to make one of the tastiest and easiest dishes of the summer. The flowers, berries and finest stems next to the flowers are safe to eat; simply take care not to consume too many of the larger stems, as this can cause an upset stomach. The dish shown here would serve three to four people. This entry was posted in Bushcraft Tips & Guides, Cooking Guides and tagged bushcraft, campfire, cooking, elderflower, outdoors, recipes, summer on June 26, 2015 by Woodlore Limited. 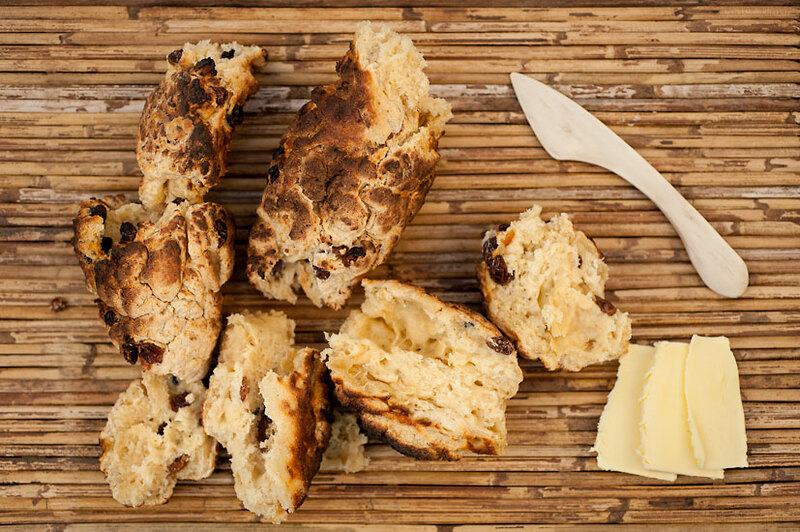 Bannock, as many of you will already know, is a traditional Scottish bread that has become a perennial favourite of the outdoorsman. Its popularity has much to do with its relative simplicity when it comes to the ingredients required and the method of preparation. When cooked correctly, the end result is a filling, warming bread that is packed with energy to sustain you on the trail. 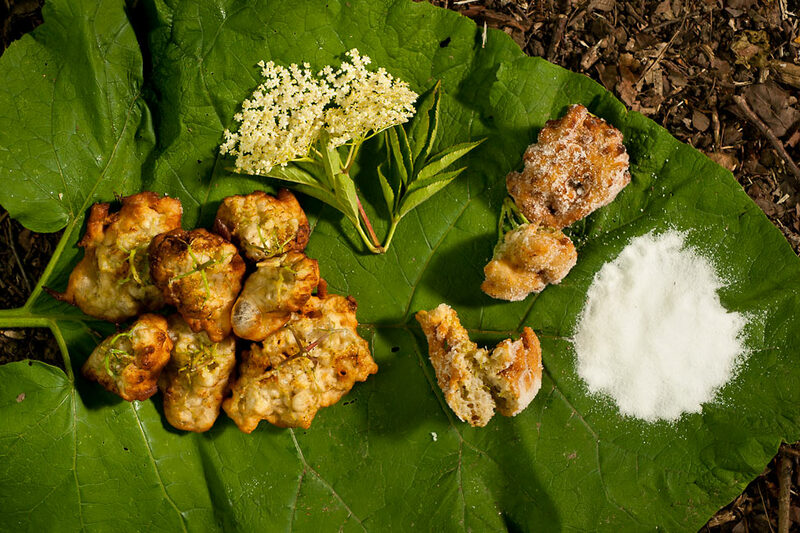 There are numerous ways of cooking bannock, with each region commonly having its own take on the standard method. In Australia (where it is referred to as ‘damper’) it is sometimes cooked straight on the embers of the fire; in the far North it is more often cooked in a frying pan. In Northern America, the dish was quickly adopted by indigenous peoples after it was introduced by fur traders. In order to free up cooking equipment for other jobs, the Cree and other First Nations utilised a less common technique of cooking their bannock skewered on a stick, and this is the method we have followed here. The dish shown in this article served three people. This entry was posted in Bushcraft Tips & Guides, Cooking Guides and tagged bread, campfire, cooking, Cree, guide, Native American, Native Canadian, recipes, tips on May 22, 2015 by Woodlore Limited. This entry was posted in Bushcraft Clothing & Equipment, Bushcraft Tips & Guides, Ray Mears and tagged bushcraft, Gransfors, guide, instructions, sharpen, sharpening, tips, video on April 15, 2015 by Woodlore Limited.